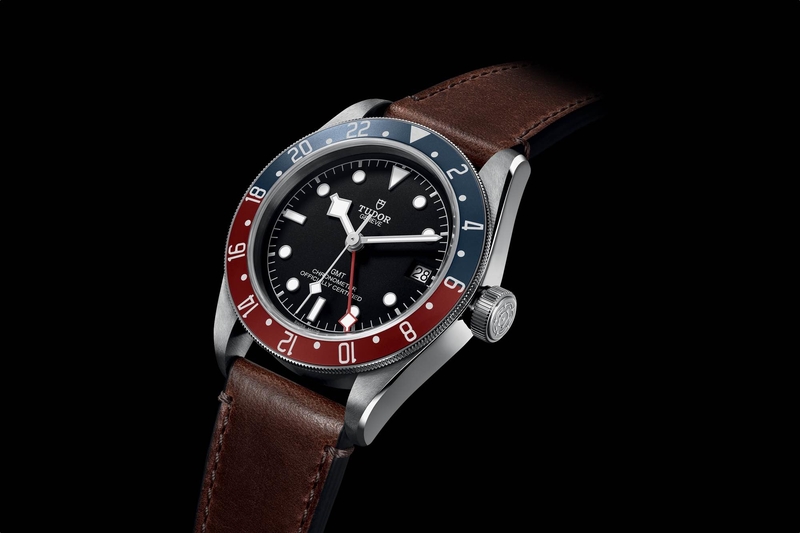 Tudor’s Black Bay line is the company’s best seller, which explains why they have so many different variations: the Black Bay (original with red bezel), Blue, Black, Dark, Bronze, Steel, and S&G. As well as the Black Bay 32, 36, 41, Chrono, and the new GMT. 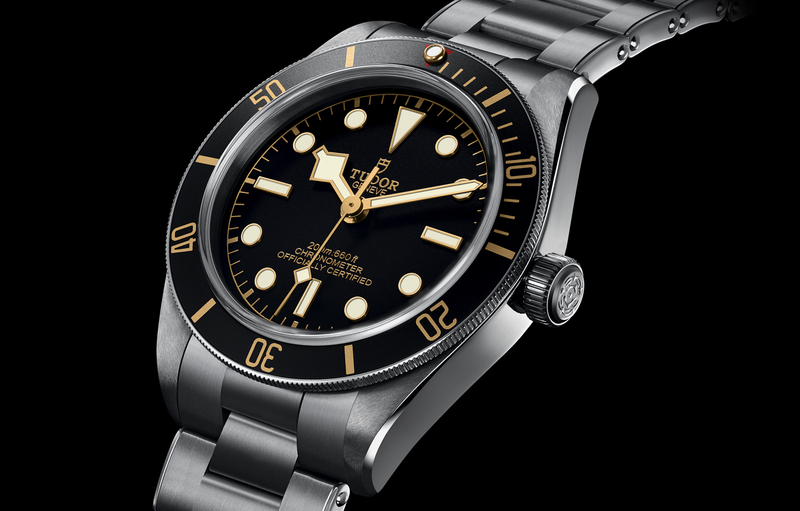 With all these variations, its clear Tudor (Rolex’s affordable brand) is invested in the Black Bay line, and justifiably so, as it’s a great looking watch collection, powered by chronometer certified in-house movements, with proper modern power reserves of 70-hours, for under $4K – with the exception of the Chrono which is just under $5K on strap, and the 32, 36, 41, which are powered by ETA 2824 movements. 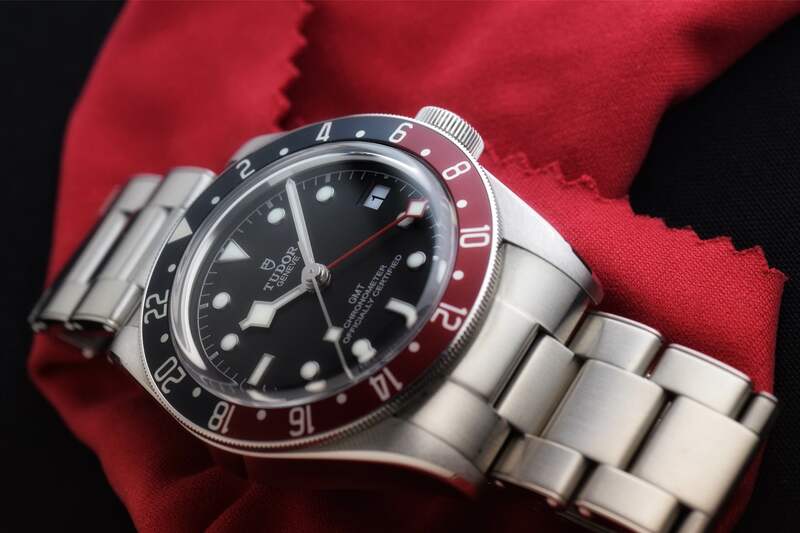 Even with all these variations, Tudor was still getting feedback from consumers that they wanted something slightly smaller than the standard 41 mm size of the Black Bay, and with more of a vintage feel, like the actual Tudor Submariner models from the 1950s. It’s not a re-issue, per se, as the dial and hands are different, but it’s pretty damn close, especially if you opt for the riveted steel bracelet. 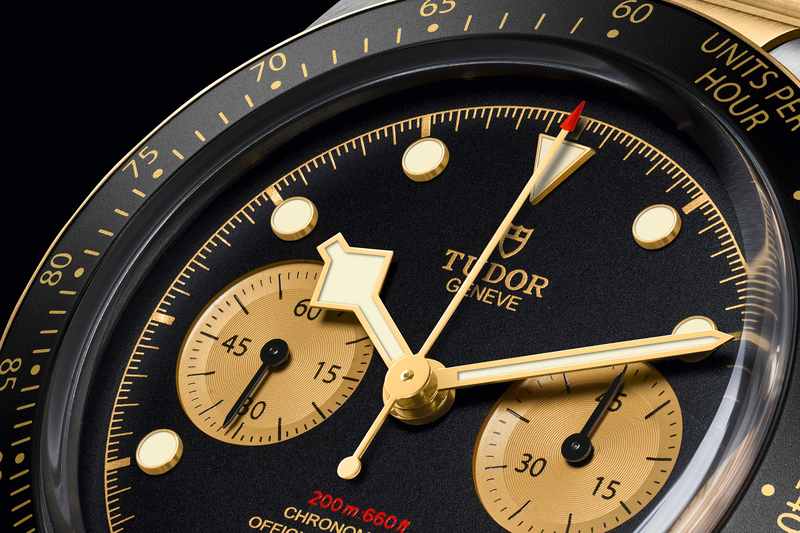 And judging from peoples’ reactions, this is sure to become a top-selling Tudor model. The new Tudor Black Fifty-Eight comes in a steel case measuring 39 mm x 11.9 mm, compared to the standard BB which is 41 mm x 14.75 mm. The lug-to-lug length was also reduced from 50 mm to 47.75 mm, and the interlug width is now 20 mm versus 22 mm on the standard Black Bay. The dimensions across the entire piece are notably smaller, and thinner, resulting in a more retro look and feel on the wrist. To properly accommodate the new case size, Tudor created a smaller version of the existing MT5602 movement which powers the majority of the three-hand watches in Black Bay line, similar to how they created a larger movement for the larger Black Bay Bronze. The new movement measures 26 mm x 4.99 mm (compared to 31.8 mm x 6.5 mm for the MT5602), so it fits perfectly in the smaller case. However, despite the smaller size, Tudor watchmakers and engineers were able to retain all the key features of its bigger brother: the variable inertia balance wheel, traversing two-point balance bridge, a silicon non-magnetic balance spring, 70-hours of power reserve, bidirectional winding, and COSC chronometer certification. Literally, nothing has been diminished except its size, which is awesome. Another noteworthy and well-received design change is the move to a winding crown without a colored crown tube for the first time. Instead, the crown tube is in satin-brushed steel to match the case. Plus the crown does not protrude out quite as much, which I personally prefer. Not to mention, it’s closer to the vintage version in this regard than basically all of the other modern Black Bays. Retail is $3,250 on leather or nylon strap and $3,575 on the riveted steel bracelet.